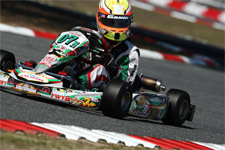 After many whirlwind months of on track action, numerous race wins and a few championship titles along the way, karting standout Anthony Gangi Jr. has been named eKartingNews.com's (EKN) February Driver of the Month. This honor is bestowed upon drivers who stand out above the rest and also showcases their accomplishments and performances, and Gangi Jr.'s month of February, as well as his entire karting career, put the young driver in the spotlight on the karting news leader. 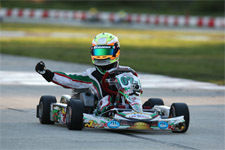 Gaining steam starting in August at the United States Rotax Grand Nationals back in August 2012, Gangi Jr. staked his claim as the Rotax Mini Max national champion. Going on to take the prestigious title of 2012 SuperKarts! USA SuperNationals TaG Cadet champion in November, the GT7 Motorsports/Tony Kart pilot had all the momentum he needed to start off the 2013 karting season. 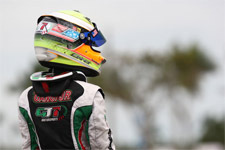 Starting his 2013 campaign at the Daytona KartWeek WKA Manufacturer's Cup event, Gangi Jr.'s season would begin with two wins as well as two additional podium finishes. 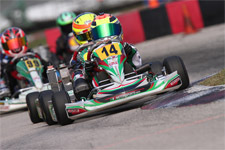 Riding high into the ultra-competitive Formula Kart Productions Florida Winter Tour (FWT), Gangi Jr. would start a gruelling schedule as he contested both the Vortex TaG Cadet category and the Rotax Mini Max class during back-to-back weekends. 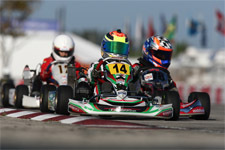 Starting in January at the Palm Beach International Raceway, Gangi Jr. continued his winning way as he earned both feature victories in the TaG Cadet class, and added one win during the Rotax round. Continuing his efforts during the month of February, Gangi Jr.'s dominating performances during both weekends of the FWT at the Homestead Karting Complex earned him the EKN Driver of the Month honor. 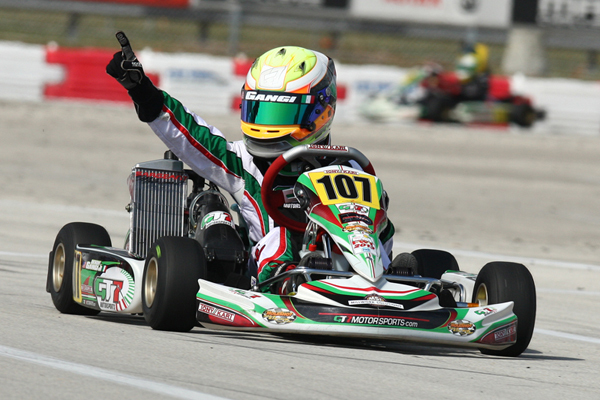 Again capturing both TaG Cadet final wins, and almost completing a sweep of the entire event weekend, Gangi Jr. upped the ante as he went on to both feature victories during the Rotax weekend as well. 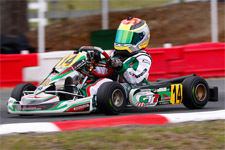 His seven wins out of eight races in the FWT to date in February garnered him not only the driver to beat in the cadet ranks in 2013, but also the EKN February Driver of the Month. Gangi Jr. is now well on his way to even more great things as the months of 2013 tick by, and everyone will be watching to see what the rising star can continue to achieve is his young career.